Language, Nation, and Identity in the Classroom critiques the normalizing aspects of schooling and the taken-for-granted assumptions in education about culture, identity, language, and learning. The text applies theories of postmodernism, postcolonialism, and other critical cultural theories from disciplines often overlooked in the field of education. 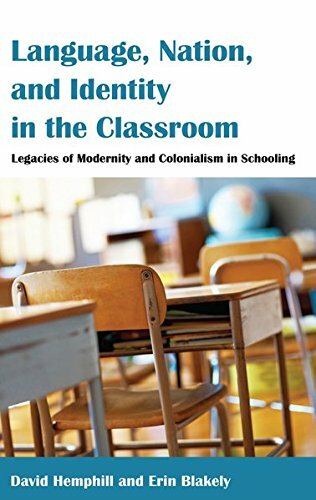 The authors illustrate the potential of these theories for educators, offering a nuanced critical analysis of the role schools play in nationalistic enterprises and colonial projects. The book fills the current gap between simplified, ahistorical applications of multiculturalism and critical theory texts with only narrow applicability in the field. This clearly written alternative offers both an entry point to rigorous primary theoretical sources and broad applications of the scholarship to everyday practice in a range of PreK–12 classrooms and adult education settings globally. The text is designed for educators and advanced undergraduate or graduate students in the growing number of courses that address issues of cultural diversity, equity in education, multiculturalism, social and cultural foundations of education, literary studies, and educational policy.